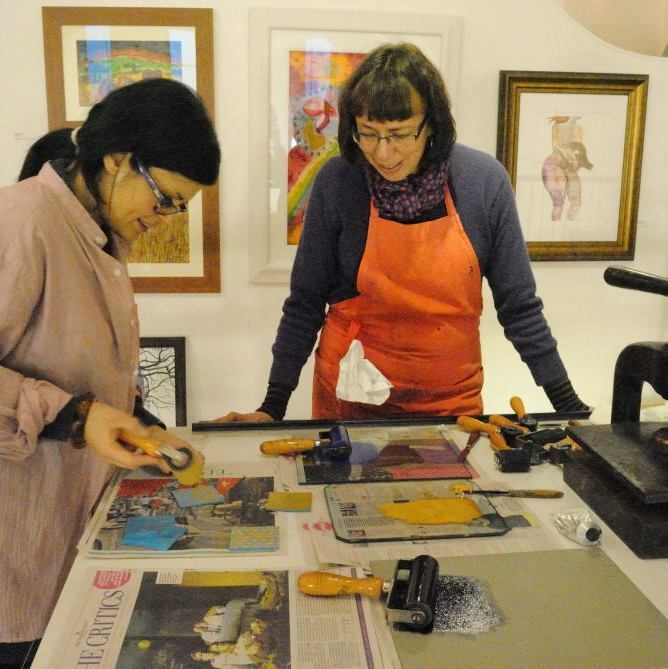 Clare Melinsky will be holding her popular lino cut workshops at Tosh every Saturday in February 2015. 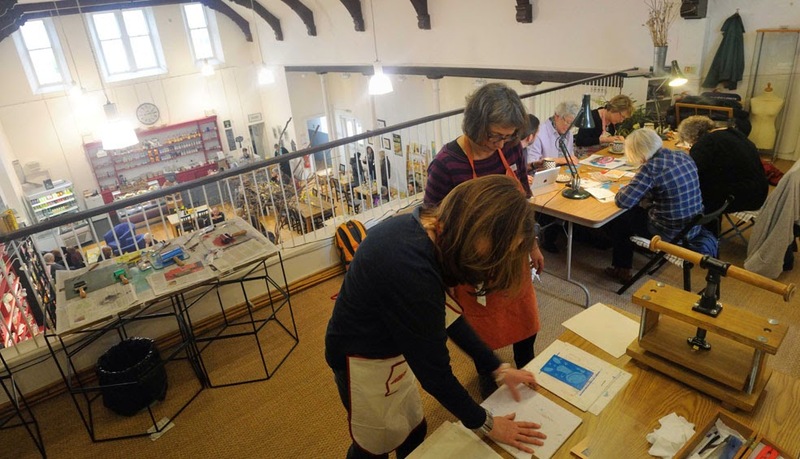 Not only do you get to learn or develop your skills in lino cut printmaking, you also get refreshments and lunch in our cafe. The cost is £60 per person, with a maximum of six people in each workshop. 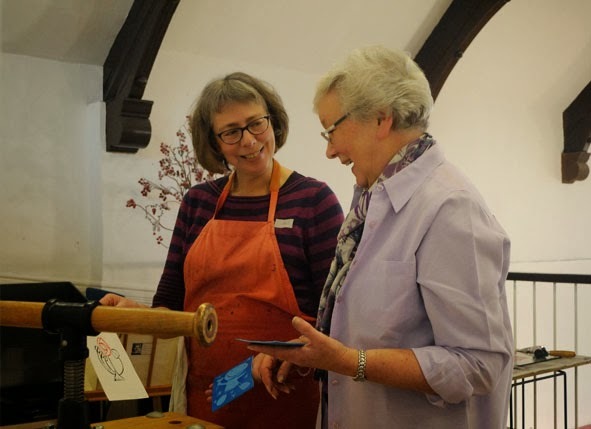 Have a look at how previous workshops went earlier this year. To book a place: phone 01848 331 553 or email info@thomastosh.com. 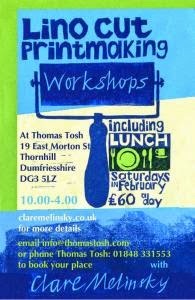 And we're excited to announce that Clare will also be holding a new exhibition at Thomas Tosh coinciding with her workshops. More details on that coming soon. Minette Bell Macdonald has been in Tosh today in a mini artist residency to complement her latest exhibition. 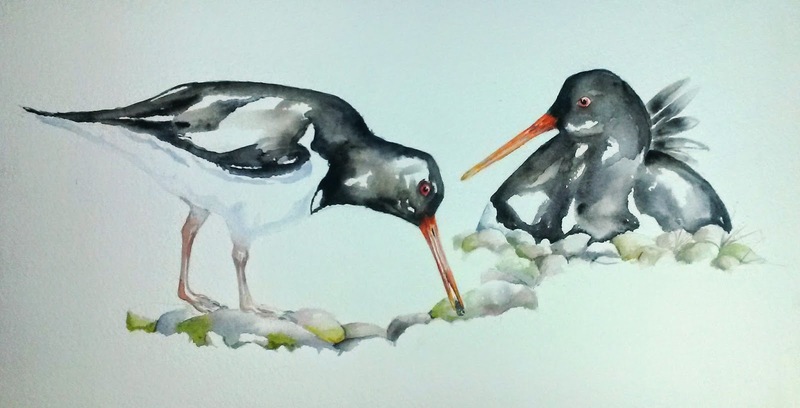 And she's been concentrating on one of the most popular themes in the exhibition: oystercatchers. At the top is an image from the gallery exhibition. And below that, is Minette's latest work produced today from notes and preparations from winter visits to Mersehead and Calaverock reserves down on the Solway Firth. Minette is with us tomorrow as well. So please don't hesitate to pop in and see her. Our first exhibition of 2014 launches today with work from Minette Bell Macdonald. Minette is pursuing new artistic directions too. 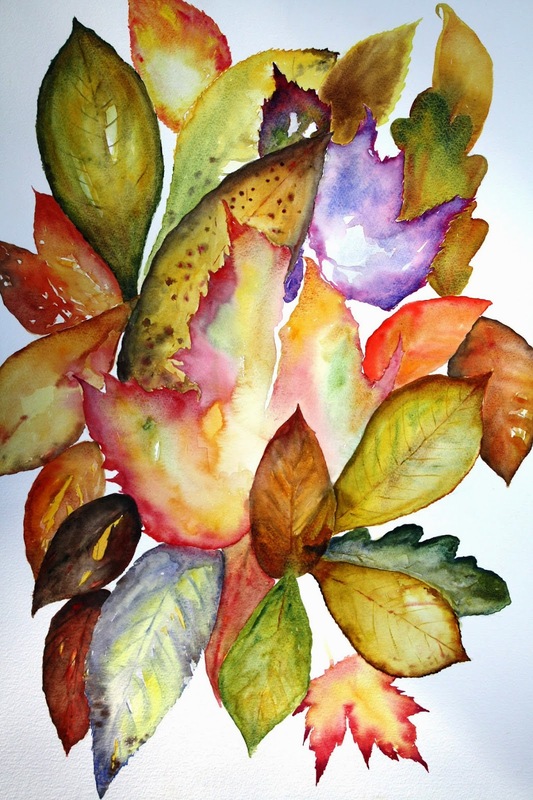 Minette uses watercolours and most recently has specialised in wildlife with her series of hares, birds and foxes. The usual high class of paintings of those subjects can be found in the exhibition, plus the odd barn-yard pig. 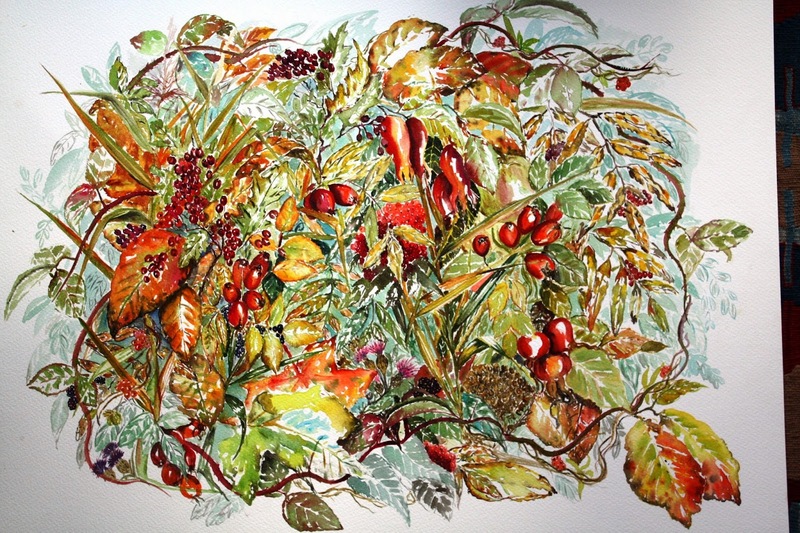 Minette’s new dimension is her depiction of flora that can often be overlooked: our region’s hedgerows and the foliage of its beautiful trees. 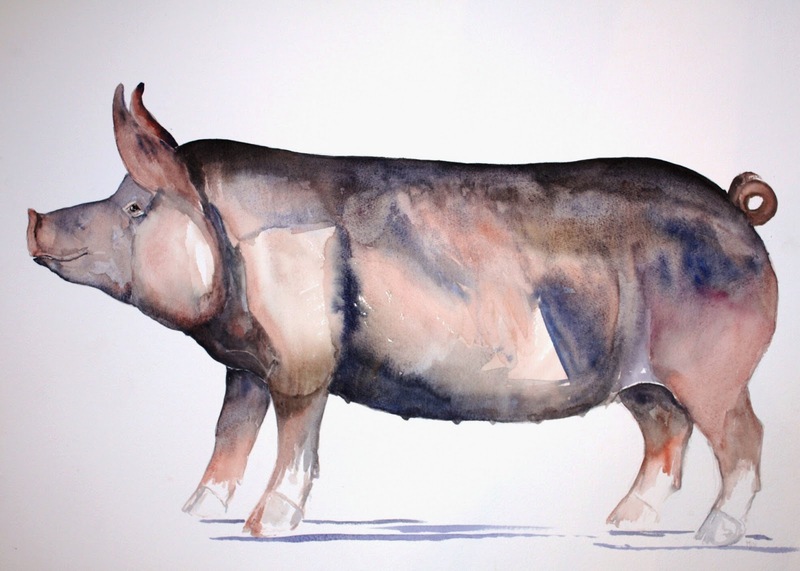 A graduate of Carlisle College of Art, Minette is a regular exhibitor at the Anthony Woodd Gallery in Edinburgh, and her most recent Dumfries exhibit was at the Yellow Door gallery in Dumfries. She has had very successful previous exhibitions at Thomas Tosh. All pictures on display at Thomas Tosh are for sale. The exhibition runs until Saturday 26th April 2014. 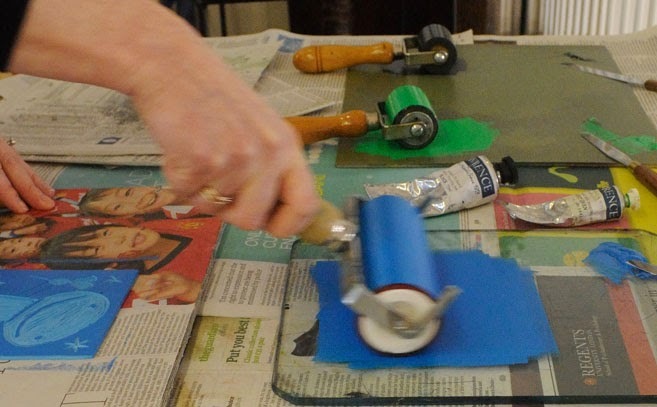 All the places for Clare Melinsky's workshops in February have now been booked. But to be put on the reserve list, call us on 01848 331 553. Looking forward to seeing all those who have booked on each Saturday in February.